Some brands of Chili Pickled Bamboo are quite fiery on their own, but the one I am using here has very little heat and so I am adding a little more with these green chilies. In addition to taste, they will also add a nice little color contrast to the dish. 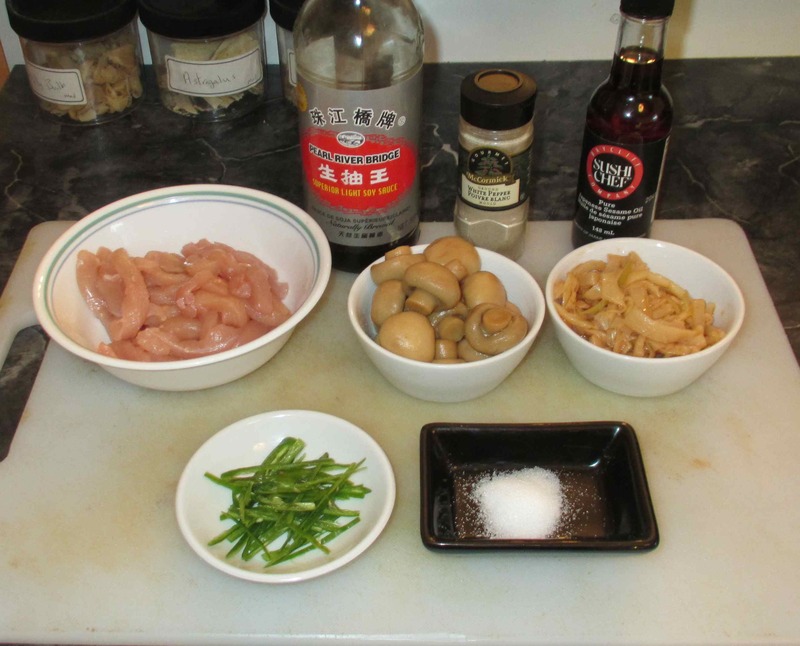 Stir the sesame oil and soy sauce into the chicken pieces. Sprinkle over the sugar and pepper, then stir again and set it all aside to marinate for not less than thirty minutes. 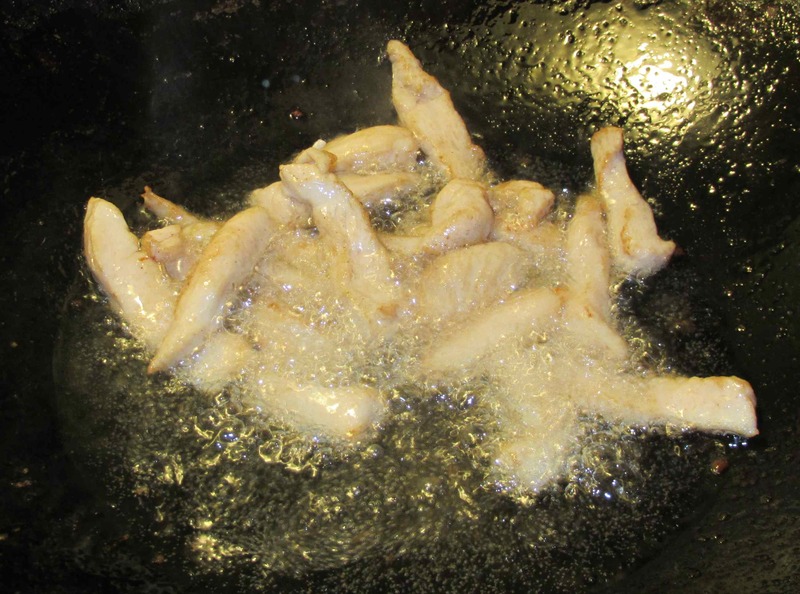 When you are ready to cook, heat a half-cup or so of vegetable oil in your wok and let it come to the shimmering point. Now, stir-fry the chicken pieces in two batches (one half of the batch is shown cooking in the picture) until it is just browned on the outside but still only half-cooked through. 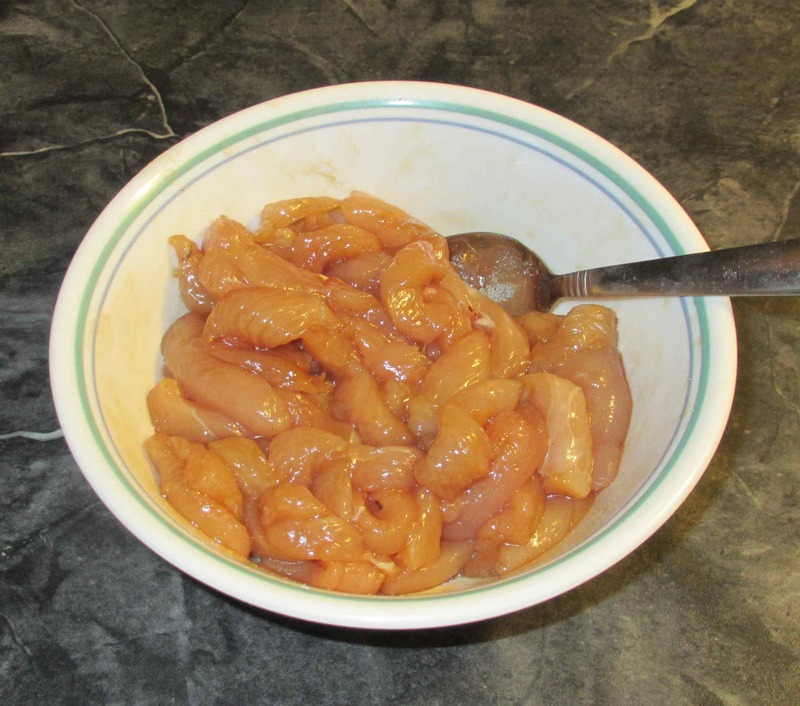 Remove each batch to a bowl as it becomes ready and all the chicken set aside for now. Dump out all the oil except a couple of tablespoons and then let it come almost to the smoking point. 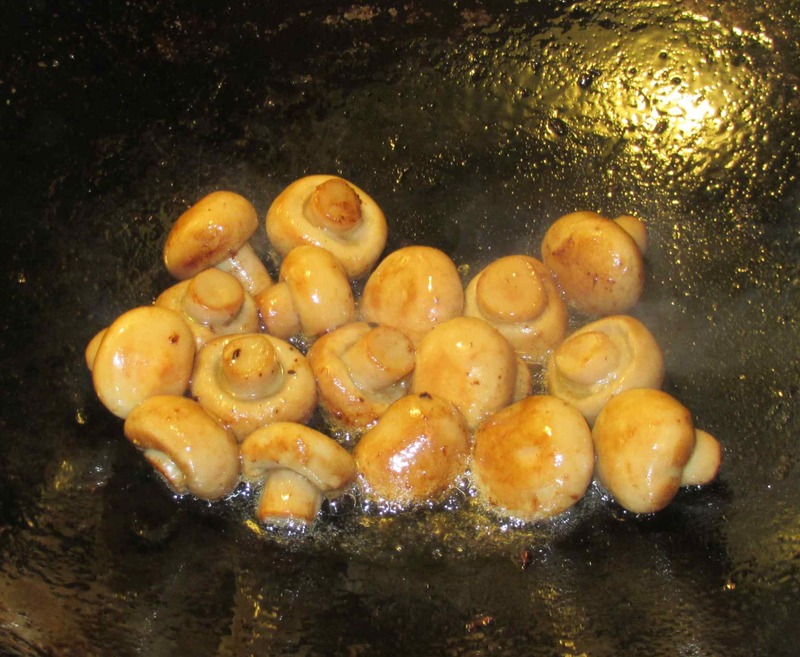 Add the mushrooms and stir-fry them until they are well browned and have given up some of their moisture. Now … Ignoring the fact that I forgot to take a picture of this step … Add the chili slivers, toss until you can smell the aroma and add the chicken and bamboo. Continue to cook for a couple of minutes until the chicken is cooked through and all is hot. Plate and serve immediately. I served this with the Fried Rice with Swiss Chard I featured in a previous post. 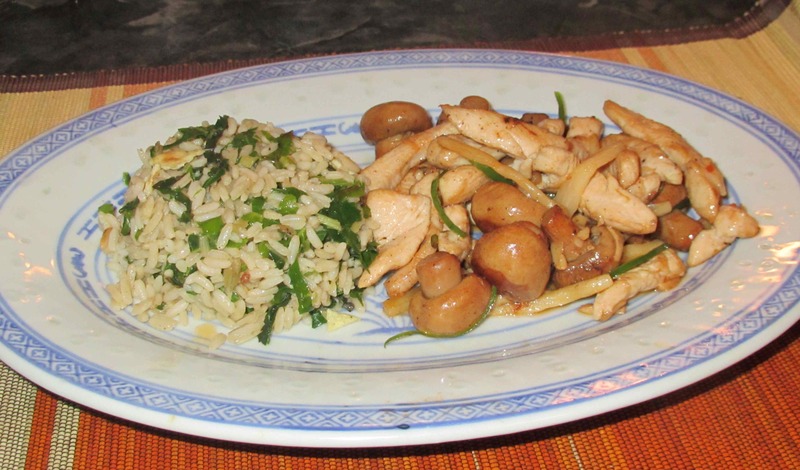 My wife really enjoyed the chicken flavored with the pickled bamboo (as I knew she would) and I have to say that I thought the two went really well together along with the earthiness of the mushrooms. I would have liked a bit more heat to this, to be honest, and next time I think I might use a bit of chili paste rather than the green chili slivers. Good looking dish…seems very tasty too! My mouth is watering – yum! 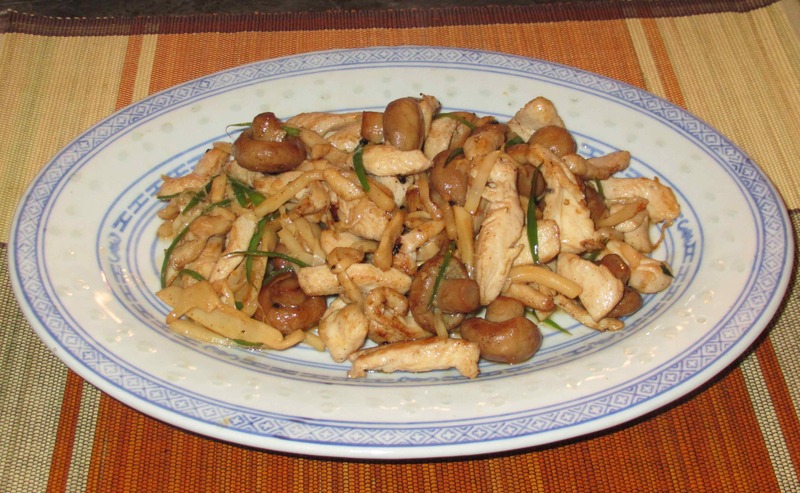 Anything with chicken and mushrooms and bamboo with chili sounds amazing to me! Your wife must have been happy! Never thought of adding Swiss chard to fried rice, great idea. Good looking chicken dish. The chicken was excellent … the rice was sorta mediocre. Only got a little bit of the bamboo left .. I am thinking of using some in a dumpling filling! Ooooooh! Dumplings! Dumpling is my favorite word in the English language . . . Okay, I’ve found a new blog to follow. This looks incredible & healthy! I haven’t heard of this product before. I’m going mushroom hunting today and hunting for that tomorrow:) Great article. Thank you … I only have a tiny bit left. I’ll have to wait until I go to Ottawa next month to get more.